Deep inside the forest: How was the smell? I turned the note again. The other side was empty. "How was the smell?" Who wrote this? To whom? The writing was almost childish. The paper note was small and white. It seemed to be quite fresh. Not much marked by any long time in the forest. I looked around me. There was no one else here, as far as I could see. Aside from me. And the little one, sleeping. Well, the smells... what kind of smell was it here? It was the smell of a forest, of course. But how does actually the forest smell like? I guess that everything that grows here makes a smell. But I could not give it any closer definition. But this paper note. It was so odd to find it here. With this question. It said; "Find more notes". I grabbed some more. "How was the sounds?" What?? "Will there be more notes?" Well, how the hell would I know! "What colour is it. Blue?" White! "Cool nota, possible tu see more notas in da forest?" Damn! What is this?? Swedish? 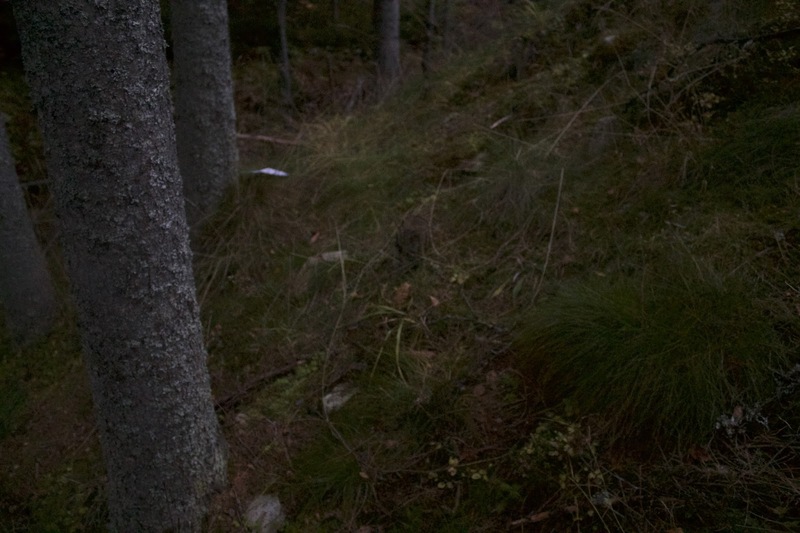 Some bloody, young swede fooling around in the forest? I tossed the notes away. Is there someone mocking me? I stared around me. Tried to see if someone was hidden somewhere. Then I heard a sound from the little one.